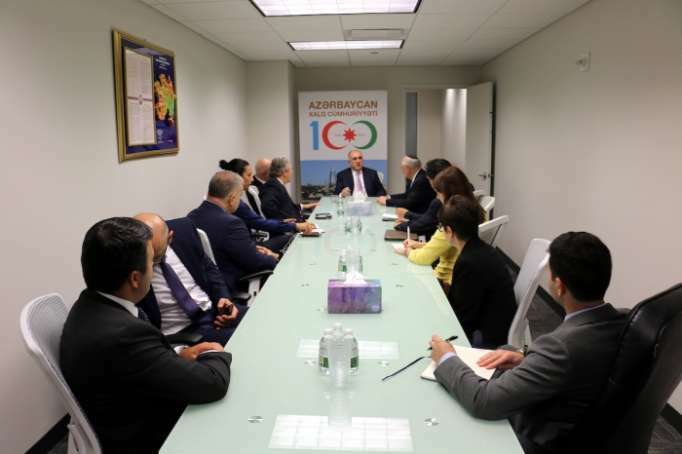 Azerbaijan’s Foreign Minister Elmar Mammadyarov met representatives of the American Jewish Committee on 27 September in New York on the sidelines of the 73rd session of the UN General Assembly, the Foreign Ministry reports. The representatives of the American Jewish Committee emphasized the existence of tolerance traditions in Azerbaijan and expressed their high appreciation to the Government of Azerbaijan for the support and care devoted to the Jewish community in Azerbaijan. Minister Mammadyarov stressed that tolerance and multiculturalism are the way of living of Azerbaijani people and diverse ethnic and religious confessions lived in peace and mutual understanding in Azerbaijan for centuries. Underlining Azerbaijan’s contribution to the promotion of intercultural and interreligious dialogue at the international level, Minister informed his interlocutors about the various international events organized on this regard in Azerbaijan. During the meeting there was an exchange of views on other issues of mutual interest.